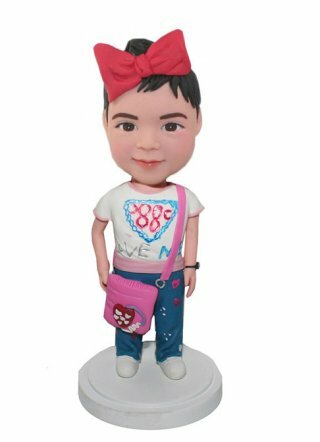 With a pink purse draped over it's shoulder, this custom girl bobblehead doll is a perfect gift for your daughter or another female child that's in your life. When selecting a pre-made body styles, the body pose and type of clothing will be as seen. 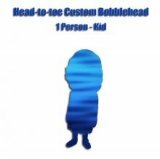 We will sculpt the head/s to look like the primary photo provided to us during the order process.Understand, we do not know the person and we are only as good as the primary photo provided.